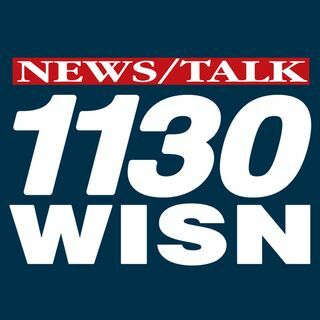 Dan Small Outdoors - Saturdays at 6am on News/Talk 1130 WISN! The Forgotten History of Our Favorite Christmas Traditions: Dan O'Donnell tells the stories behind the things we enjoy at Christmastime. Tour exciting destinations across the globe with Rose Gray. Talk about the latest design trends and new products for your home and landscape. For 25 years, listeners have counted on Karen Ellenbecker and our team of advisors for reliable, relevant information designed to help with life's challenges. Each show includes our wealth advisors giving their own financial perspective and interviews with local and global economists, attorneys, tax and real estate specialists, ... Maggiori informazioni authors and other special guests. Educating seniors and those who love them on services to help the aging population live a happier, safer and more comfortable life. Dan Conry has been bringing "Blue Collar Common Sense" and whole lot of humor to talk radio for 16 years. News, analysis, investigation, and conservative thought... not just conservative talk. Annex Wealth Management's "The Investment Show"
Jay Weber knows what you want to talk about, examining the big issues, trends, and events at all levels -- local, state, and national -- from a strong conservative perspective. Answering your questions about retirement. Ken Herrera lets you know everything you need to start your day. Examining medical innovation and discovery in Southeast Wisconsin. The voice of reason in Milwaukee.